In theory, to make an international call, you need to know three things: how to get an international line, the two-digit country code, and then the area code and phone number. As for how much it costs and whether that call goes through, well, that's another story. 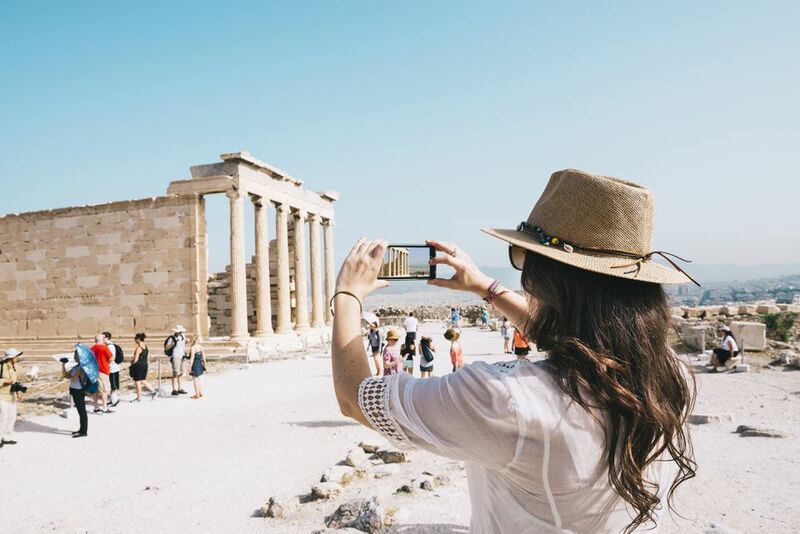 Take a look at ways to make sure your calls to and from Greece are successful. The country code for Greece is "30." When dialing Greece from the United States, Canada, or Australia, first dial "011" to get an international line, then the country code "30," before entering the area code and local number. To place an international call from Greece, dial "00" to connect to an international network, then dial the country code (for the United States and Canada, it's "1"), and then the area code and number. Dial the number. If you get constant beeps, then, it indicates that the line is busy. If you need assistance, call "13888." For the best prices when making international calls from Greece, use your calling card, mobile phone, or a card telephone. You can make calls from most large establishments, kiosks, and OTE card phones (these are declining in availability). OTE is Greece's dominant telecommunications company. OTE phones are only card operated; coins are not accepted. OTE phone cards, called "Chronokarta," can be purchased at kiosks, convenience stores, or local OTE offices. These are the easiest way to make calls from anywhere in Greece. These phone cards can be used for domestic and international calls. Once you insert the phone card, the number of units on the card will appear; as you begin talking, the units will go down. Once all the units have been used, the card does not get recharged—you must purchase another. International roaming charges for cell phones have decreased in recent years, however, check with your provider before you leave the United States. You will need an international mobile phone calling plan. Sometimes mobile phones need to be activated for international calling in order to work abroad. It's almost always cheaper to send a text message than to make a call since text messages have a very low set fee (often less than 2 cents). In Greek mobile phone contracts, only the caller and not the person receiving the call can be charged for local phone calls (both are charged for international calls, however). As of June 15, 2017, roaming charges were abolished within the European Union. This means if you have a phone issued in the EU, you can use your regular allowance for calls, texts, and data for no extra cost from anywhere within the EU. Most people prefer to dial internationally using free Wi-Fi and WiFi-enabled video calling services like Skype, Facetime, Facebook Messenger, WhatsApp, or Google Hangouts. The best way to minimize any chance of roaming charges to other countries, use free Wi-Fi whenever possible. Also, check to see if your mobile provider has a roaming add-on (an extra allowance for data, texts, and minutes to use abroad as a one-off) at a reduced cost. All telephone numbers in Greece have 10 digits. Area codes now have to be dialed even when you are dialing locally. For cell phones, dial both the cell prefix (a four-digit number beginning with "69") and the telephone number from anywhere in Greece. For Greek directory information, dial "11888"; many operators speak English. If you want to call a ship on the open seas, instead of making an international call, call a ship-to-shore operator at extension "158" to attempt a call to a vessel on the water. Nearly half the people in Greece can speak English. It is taught from third grade up, so anyone under the age of 40 likely can converse with you. However, In case you need to communicate with someone who only knows Greek, it's handy to know your numbers.